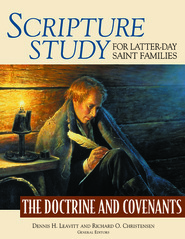 Parents tell us that Scripture Study for Latter-day Saint Families has worked miracles for their family scripture study. “The scriptures are now coming to life for my children,” said one parent. “We have seen our children share their feelings, thoughts, and testimonies through our discussions. They are participating gladly, which is a miracle in itself.” Families throughout the Church have discovered that Scripture Study for Latter-day Saint Families can help make study of the scriptures more effective. 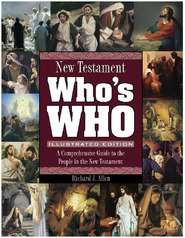 In this new edition, parents will find activities, object lessons, stories, discussion questions, quotations, and insights to help them lead their families through the New Testament. Simply review the material for the section or verses you are studying and select those teaching ideas you think would be most helpful to your family. 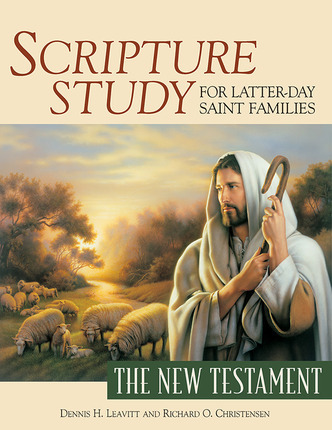 Packed with creative suggestions for every age group, Scripture Study for Latter-day Saint Families is an invaluable aid to family scripture study. I've been using this book to help supplement the lessons for my Primary class this year. 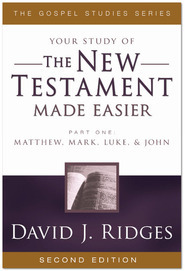 The ideas in the book have really helped me make the scriptures come to life for the kids. For example, when we had the lesson about John the Baptist I brought in a plate, large plastic grasshopper and my honey pot. The kids just loved being able to really visualize what John the Baptist ate in the wilderness. 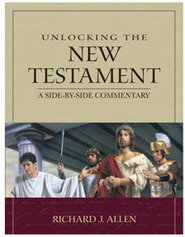 Personally, I am not creative enough to think of the visual aid, so I was thankful we had invested in this book. I've used something from the book just about every week in my lessons.